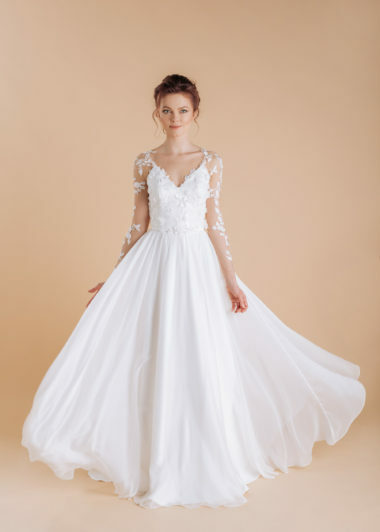 Julie is embodied innocence. 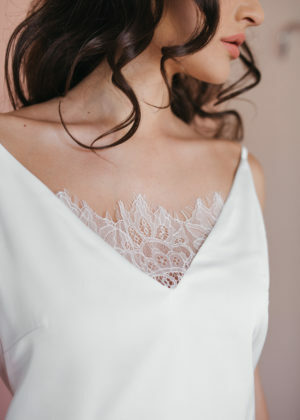 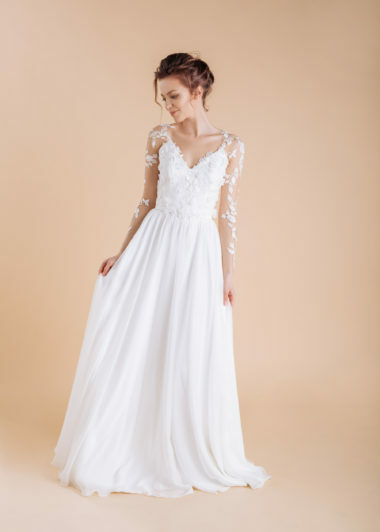 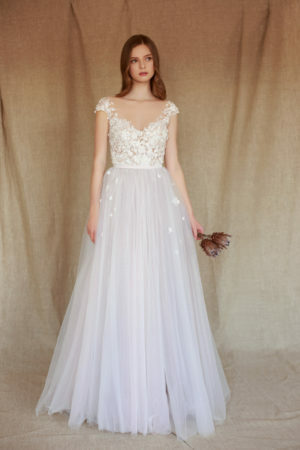 The softness of the white chiffon will highlight your tenderness and candour, while the detachable band will accentuate the delicacy of your silhouette. 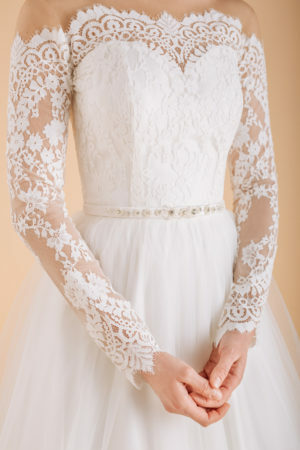 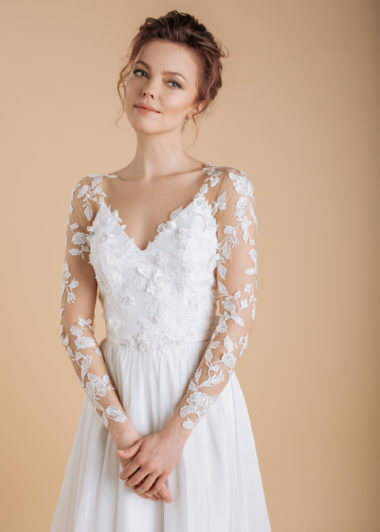 The silky lace that adorns the sleeves and bodice adds to the charming story-like image that this dress creates.